I am in the midst of completing the pre-production for my new film. The film will see me, with the help of the Jersey community, push a 13.7ft boat across the island and out to the Atlantic ocean. On July the 16th, starting from Gorey harbour i will set off with the boat heading West to St Ouen’s Bay. The underlying principle of the film is centred on how it’s an impossible task for me to complete alone. As a photographer and performer it will not be viable to record the process of pushing the boat across Jersey while actually doing it. I will require assistance from the public if i want to succeed in moving the boat and recording the performance. The resulting video footage will be used to create a 20-25minute film. The people of the local community become actors and crew in this film. 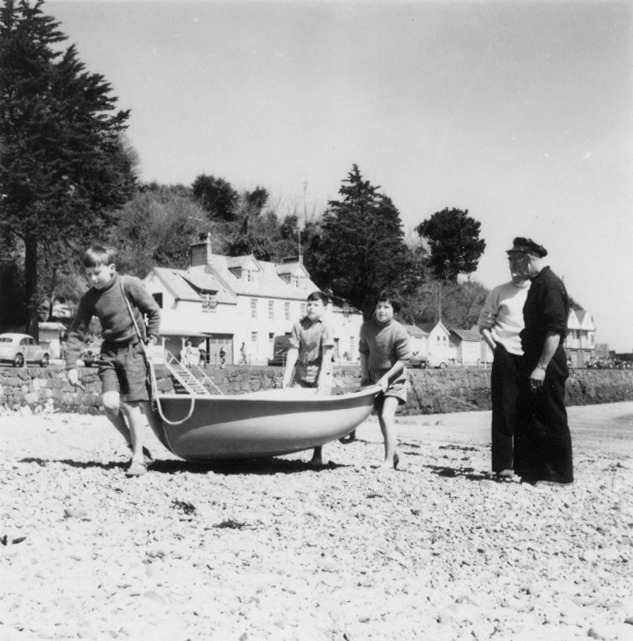 Their contribution, by way of offering methods to move the boat, physical participation and recording of the event, is fundamental to how the performance progresses and the final film plays out. Everyone is welcome to help and support the event. It should make for quite an interesting day. 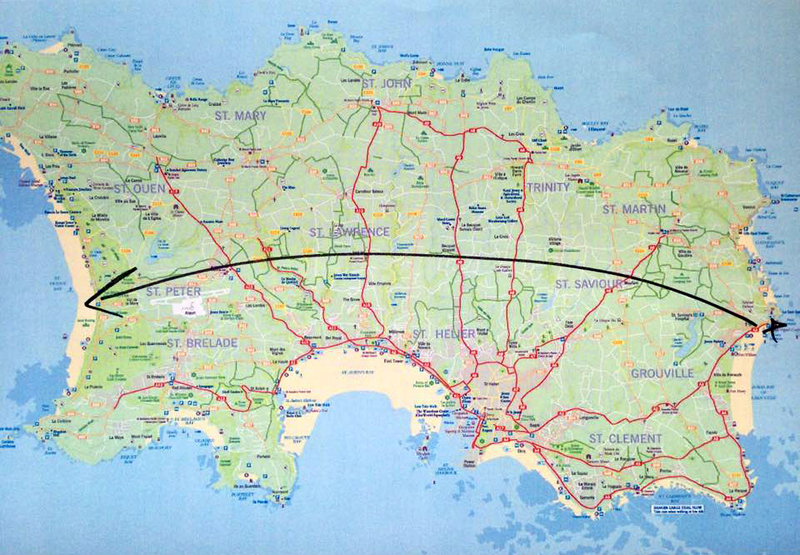 Jersey is around 9 miles wide, as the crow flies. Starting in the East and heading West, I estimate the distance travelled will be around 13 miles. Naturally, a first point of reference for this is Werner Herzog’s Fitzcarraldo, as an absolute classic film i’m not intending to remake it. There is no untouched rubber territory where i’m heading. In the instance of this performance i’m interested in the act of undertaking something without knowing how the event will unfold. Once i set off from Gorey Harbour i have no idea what will happen. Serendipity and spontaneity will be fully embraced. 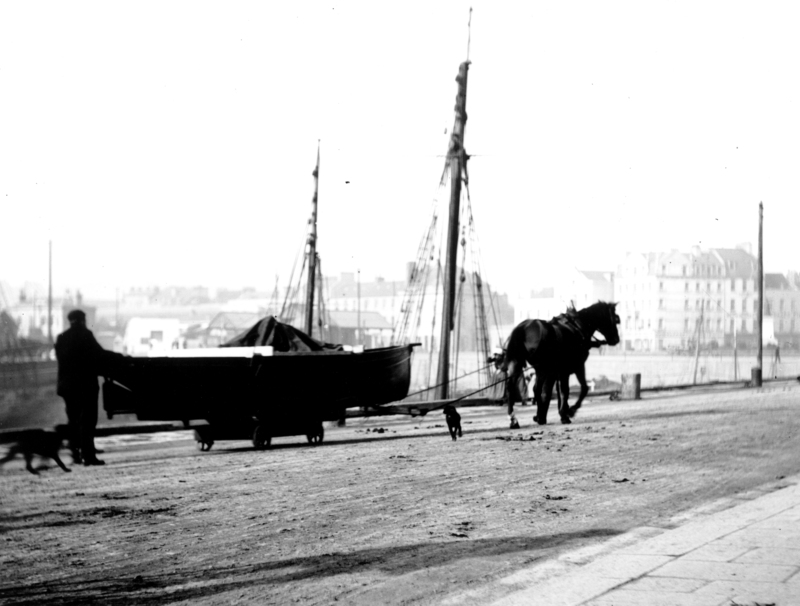 Why go to all the pains of taking a boat from one harbour, pushing it over land, only to push it back out to sea. Maybe this will become clearer upon completion, maybe not. 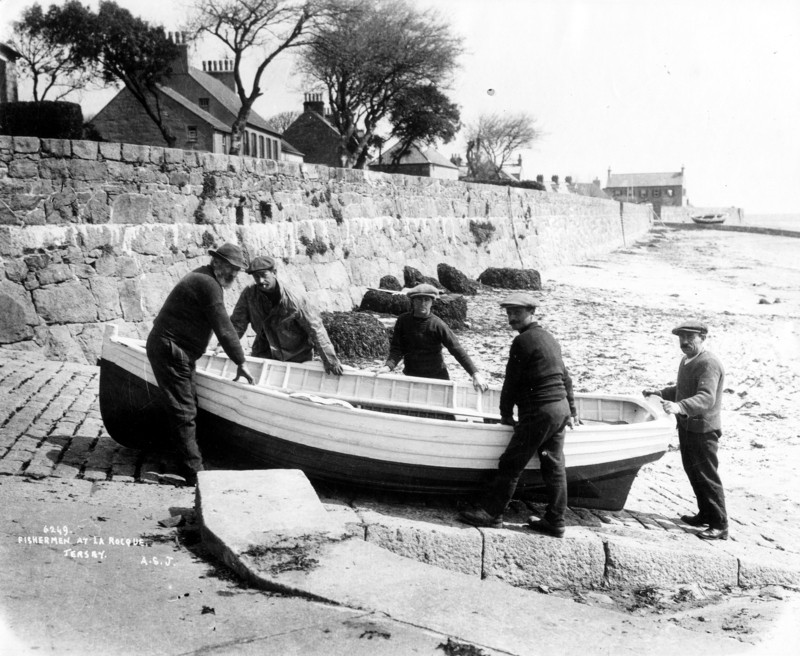 The event of pushing the boat out will take place on 16th July, starting at 5.30am from Gorey Harbour. If you are in Jersey and would like to participate in helping film, moving the boat or assisting with the shoot then please do not hesitate to come and join in. I envisage the performance taking the entire day to complete. You are welcome to join me for the entire shoot, or for a shorter amount of time. The film will be made up of footage shot by the people of Jersey and a cameraman. It would be wonderful if you send me any video footage you have recorded that you would like to be considered to be in the resulting film.